Ari Engel is one of the hardest working grinders on the tournament circuit today. The former no. 1 online poker player in the world has been living out of a suitcase as he chases big cashes all over the globe. As a result, the 33-year-old has done quite well for himself, with nearly $5 million in live tournament cashes. He’s currently tied for fourth place with eight WSOP Circuit titles and in 2016, he took down the Aussie Millions main event. 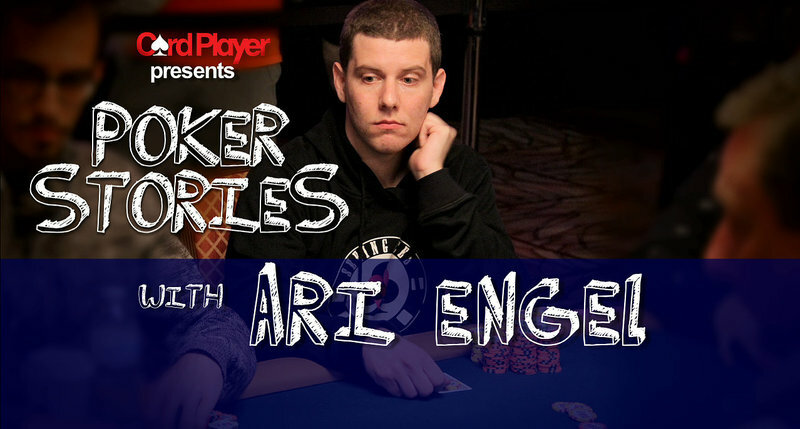 Despite the fact that he didn’t really concentrate on live poker until after Black Friday, Engel has somehow managed to rack up 284 live tournament cashes so far in his career, 48 of which came last year. Highlights from this interview include being a world-traveling child, Canadians with Australian accents, lazily finishing college in two years, inspiring his landlord to take up poker, being a poker workaholic, the positives of a fragmented online poker market, how to cash 48 times in one year, having the third worst set and still winning, and figuring out where to live in the world. Catch up on past episodes featuring Daniel Negreanu, Nick Schulman, Bryn Kenney, Mike Sexton, Brian Rast, Jean-Robert Bellande, Scott Seiver, Greg Raymer, Maria Ho and more. If you like what you hear, be sure to subscribe to get the latest episodes automatically when they are released.